What we think we know versus how we act in buying. This is a book about work choices and life choices, and the critical points, or defining moments, at which the two become one. 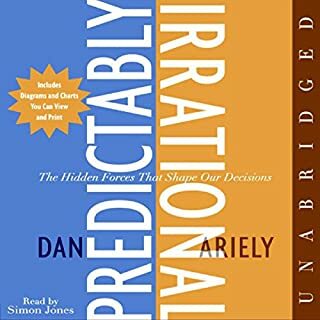 A refreshing antidote to traditional feel-good, inspirational business ethics, it examines the right-versus-right conflicts that every business manager faces and presents an unorthodox yet practical way for you to think about and resolve them. Online shopping continues to grow at an astounding rate. In 2012 more than $1 trillion were spent in online retailers alone. The nature of shopping is drastically changing - but with so little information on how best to interact with online customers, how are businesses to succeed? Marketing and product development best practices for a fragmented economy. The rules for marketing and product development have changed forever. You no longer control where and how consumers receive marketing messages. The consumer is in charge, with ever-growing choices and a shrinking decision window. Therefore, it is crucial to understand what drives customer behavior to design products, marketing, and experiences that will succeed. Laddering explains how to better understand your customers' core values. In his popular Stanford University lectures, Shirzad Chamine reveals how to achieve one's true potential for both professional success and personal fulfillment. His groundbreaking research exposes ten well-disguised mental Saboteurs. Nearly 95 percent of the executives in his Stanford lectures conclude that these Saboteurs cause "significant harm" to achieving their full potential. With Positive Intelligence, you can learn the secret to defeating these internal foes. Drawing on hundreds of consumer interviews and shop-alongs, Yarrow reveals the trends that define our transformed behavior. For example, when we shop we show greater emotionality, hunting for more intense experiences and seeking relief and distraction online. A profound sense of isolation and individualism shapes the way we express ourselves and connect with brands and retailers. 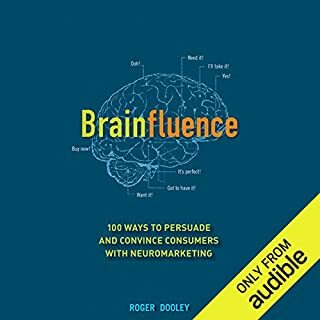 Neurological research even suggests that our brains are rewired, altering what we crave, how we think, and where our attention goes. Decoding the New Consumer Mind provides marketers with practical ways to tap into this new consumer psychology, and Yarrow shows how to combine technology and innovation to enhance brand image; win love and loyalty through authenticity and integrity; put the consumer’s needs and preferences front and center; and deliver the most emotionally intense, yet uncomplicated, experience possible. Armed with Yarrow’s strategies, marketers will be able to connect more effectively with consumers - driving profit and success across the organization. 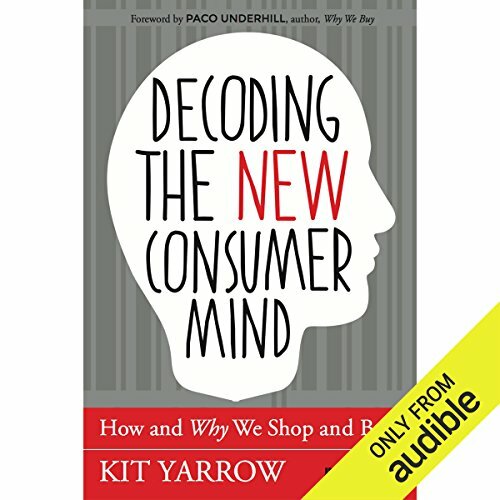 ©2014 Kit Yarrow (P)2014 Audible, Inc.
Would you consider the audio edition of Decoding the New Consumer Mind to be better than the print version? 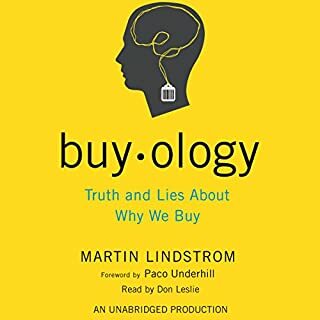 My wife and I enjoy listening to audio books as we drive to & from work each day which allows us to get through a lot more books than if we were to just read print or e-versions. because of this we only listened to this audio book. What was one of the most memorable moments of Decoding the New Consumer Mind? 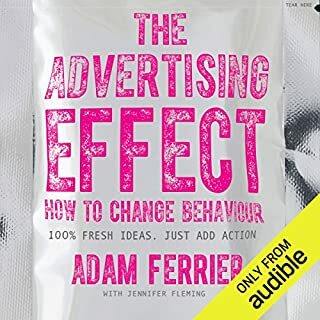 Its tough to single out one moment, but some of my favorite are: Product bundling effects, creating the allure without the discount, and four ways to promote using customers. What does Ann Osmond bring to the story that you wouldn’t experience if you just read the book? I can drive at the same time. There were several bookmark moments where I knew I needed implement a similar strategy or tactic. 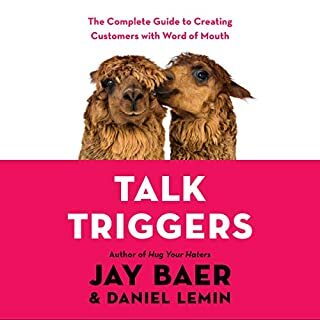 I think a lot of business owners could benefit (far more than the cost of this book) by simply listening to it and using some of the strategies Kit discusses. 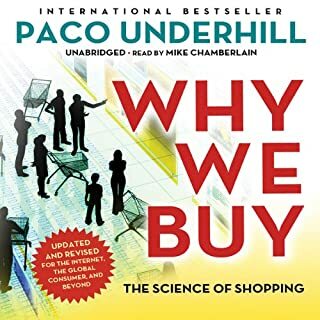 I am in retail management, and some of the insights in this book greatly impacted the way I view my store for my customers. Great read! Excellent content but could be delivered better. A practical guide into the minds of today's customers as a result of technology shifts. Results are presented very well with sometimes a mouthful of technical jargon though it could use more structure and flow to the content. However the book seems to be read by a robot and at a very slow pace, had to listen at 1.25x for a conversation pace. Learn a lot from this book and is extremely helpful for beginners such as myself.